The Edgewood collection has an elegant transitional style that will fit right into almost any home. This elegant counter height chair will be a beautiful addition to your casual dining or entertainment area. The softly rolled back and plush seat are covered in a rich textural golden tone fabric that will blend beautifully with your home decor. A smooth wooden frame in a deep black finish contrasts beautifully, with high turned legs supporting the chair. 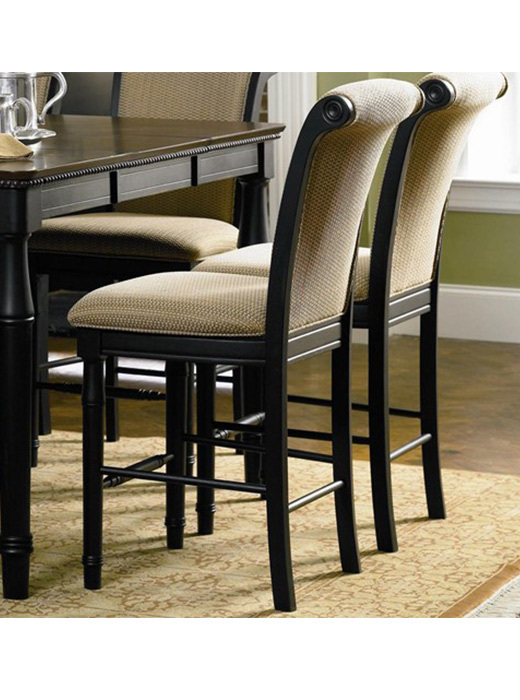 Pair with the matching counter height table for a complete casual dining ensemble. The Edgewood collection has an elegant transitional style that will fit right into almost any home. These counter height dining pieces are perfect for gathering with friends and family. Smooth clean lines, a beaded detail, and soft fabric covered chairs create sophisticated style that is comfortable enough for everyday use. 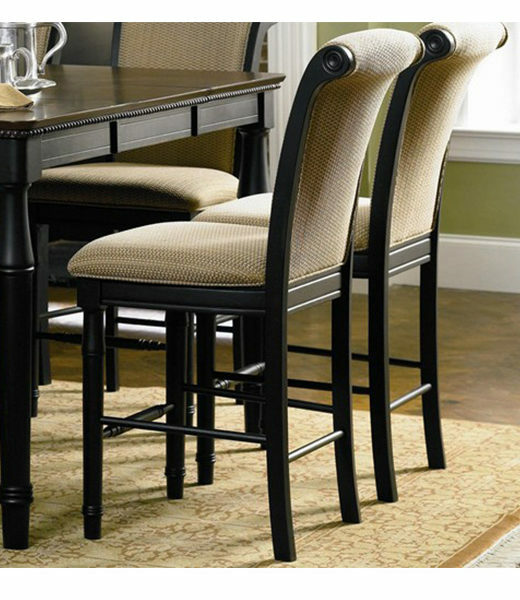 In a black finish, these dining pieces will add dramatic style to your home. Finish & Paint Options Rich dark black finish.